For my music, click here. 5-channel installation on acoustic liminality, part of the “Liminality” art exhibit — November 12-15, LAAH 110 (College Station, TX). Radio stories about Texas created and recorded by undergraduate students. Broadcasted weekly on KEOS 89.1 FM between February 8 and May 17. Click here to access the episodes. Brazos Valley Echolocation is an art-research collective based in central Texas engaged in documenting and (re)presenting public demonstrations. The initiative was conceived by Texas A&M faculty Elise Morrison, James Ball, and me. Click here to visit the website. 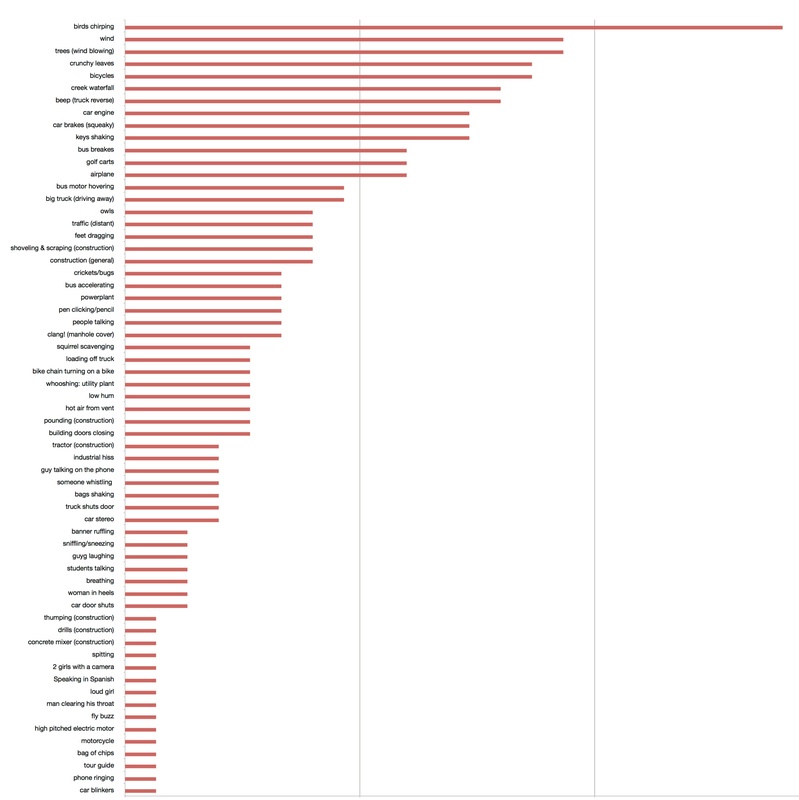 The central idea of the TSP is to map out Texas’ acoustic history and diversity. Materials presented here come from three sources: collaborative research with Texas A&M undergraduate students, recordings from sound archives, recordings from personal collections. Click here to visit the TSP. The SEM Sounding Board sound exhibit showcased the creative work of scholars attentive to the spatial and ethnographic potential of sound. It ran in parallel with the Society for Ethnomusicology Annual Meeting in Austin, TX. The Sounding Board included nine works that explored sonic in-placements (water and wind), sonic displacements (the telephone, the radio, and the microphone), sonic emplacements (the acoustic territories of urban Taiwan, the Brazilian hinterlands, and West Texas), and sonic mix-placements (in Mexico City and Havana). Click here for more info about the exhibit. For reviews, click here and here. I designed this interactive installation in collaboration with my colleague Jeff Morris and graduate student Mayra Valle, who created the choreographies based on her research on the Salsa Casino repertoire within pre-revolutionary, revolutionary, and contemporary Cuba. Valle’s choreography highlights Salsa Casino’s fluid relationship with the Cuban socialist government, Afro-Cuban religion, and African-American pop culture. The installation includes one opening dance and three dances showing varying degrees of influence from Santeria rituals. The kiosk has a 5.1 surround system, a footboard that vibrates with low frequencies, and a camera that interacts with the user’s movements. The installation starts the opening dance whenever someone approaches the kiosk and then moves randomly to the other dances. During the audiovisual performance, the users are immersed in music (we recorded different instruments across the 5.1 surround spectrum). They are encouraged to explore their own body by following the rhythms and gestures of the performance. The amount of movement captured by the camera determines the texture (more or fewer instruments) of the music being played. The installation opening included a roundtable with A&M faculty from four different departments. Can sound (art) provide a more dynamic approach to the city — the city as a performance rather than a location? I designed this audiovisual installation to encourage my Performing the City students to approach urban space and history from an experiential perspective. The installation uses sound recordings (a collage from archives, my personal field recordings, YouTube, and SoundCloud) made in five American cities in moments of collective celebration and drama. By exploring city sounds in moments of mourning and commemoration and the affective infrastructures they set in motion, the installation brings together sound studies, architecture, urban/sensory sociology, and ambient music. Talk-presentation of the installation at the Center of Digital Humanities Research at Texas A&M University. On March 27, 2013, I took my Intro to Sound Studies students for a soundwalk across the University of Texas campus. We started in the classroom in the School of Music Building (east side of campus) and ended at the entrance of the Radio-Television-Film Building (west side of campus). I was interested in how people in the same acoustic environment share patterns of filtering certain sounds and paying closer attention to others. The purpose of the soundwalk was to consider this filtering activity not only considering loudness, but also with “moods,” mindsets, tastes, and expectations. To compare filtering processes, I gave each student a small notebook and asked them to write down whatever they “heard” as we walked. 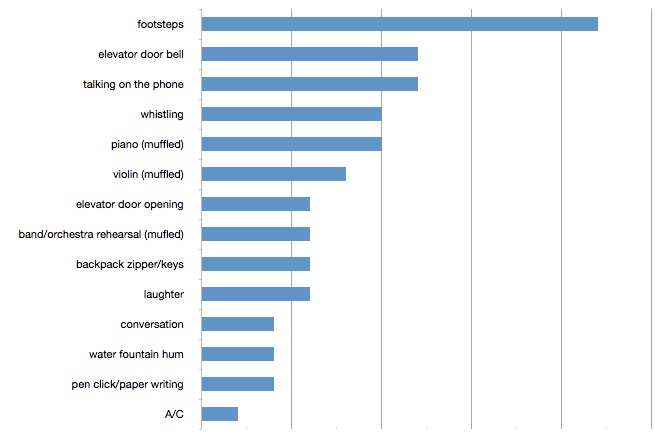 The results of the most mentioned sounds are available here (indoors) and here (outdoors). While doing fieldwork in São Paulo for my doctoral dissertation, I approached the SESC (Social Service of Commerce) to propose a workshop on the sociality of everyday sounds. The SESC is a popular public-private enterprise present in several districts across São Paulo. It has been an important cultural, educational, and recreative institution in the city, offering to the local community a range of activities at an affordable cost. I conducted the workshop at SESC Vila Mariana between July and August. I provided sound recorders and asked the participants to record sounds that were present in their day-to-day activities. Each participant (myself included) used the recordings to create a sonic collage-narrative, which was presented and discussed during the workshop. By discussing the collages we uncover disagreements about city life. We reflected on the blurry line separating sound as an event that informs how the listener navigates the environment and sound as a point of attraction — an action that pushes the person to frame his or her experience as a listener. David Hendy used one of my recordings in his series Noise: a Human History aired on BBC Radio 4. Below, some of the collages created during the workshop.